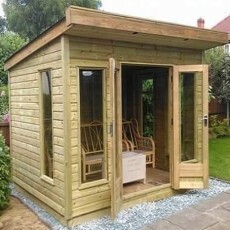 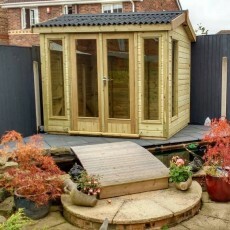 An apex roofed summerhouse but with the front being under the eaves of the roof rather than in the traditional gable end. 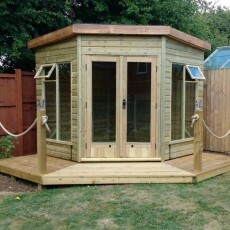 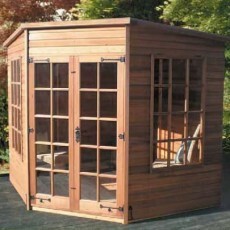 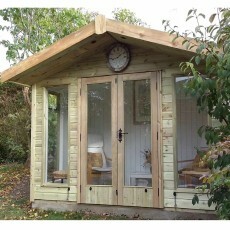 A single sloping pent roofed summerhouse with an optional roof overhang on the front over the doors. 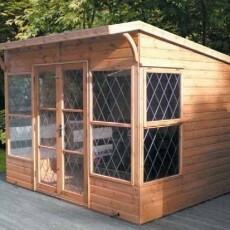 Various window designs available. 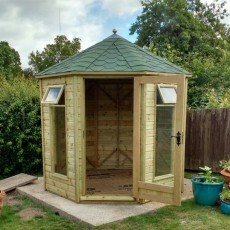 A corner summerhouse with a single sloping felted roof. 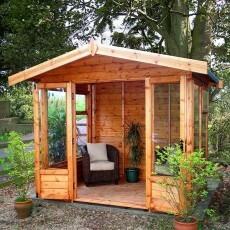 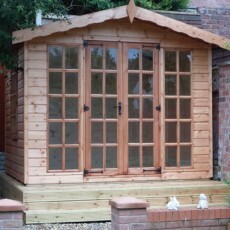 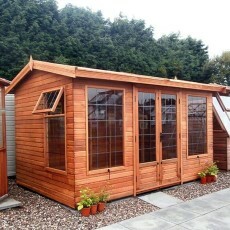 Can come in either pine or cedar and with a choice of 4 window styles.